Easter is coming up shortly and that means chocolate! 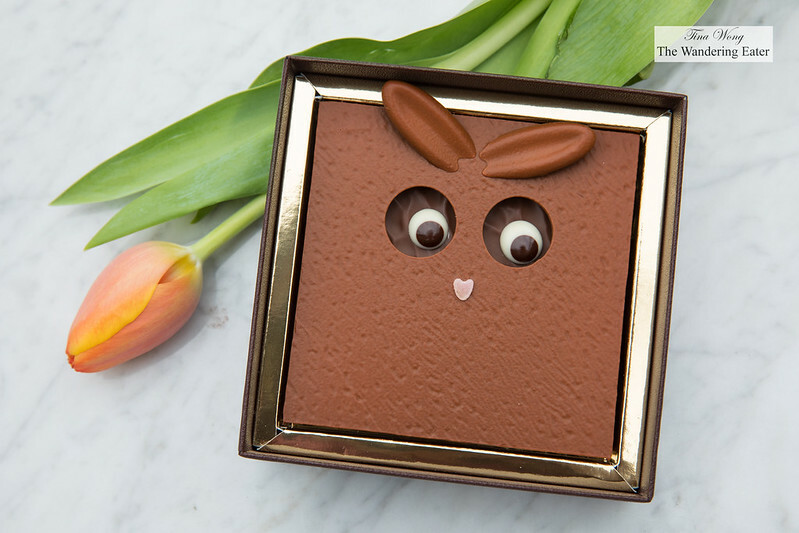 For the chocolate connoisseurs out there who love their serious chocolate but have some bit of cuteness for the holiday from La Maison du Chocolat. 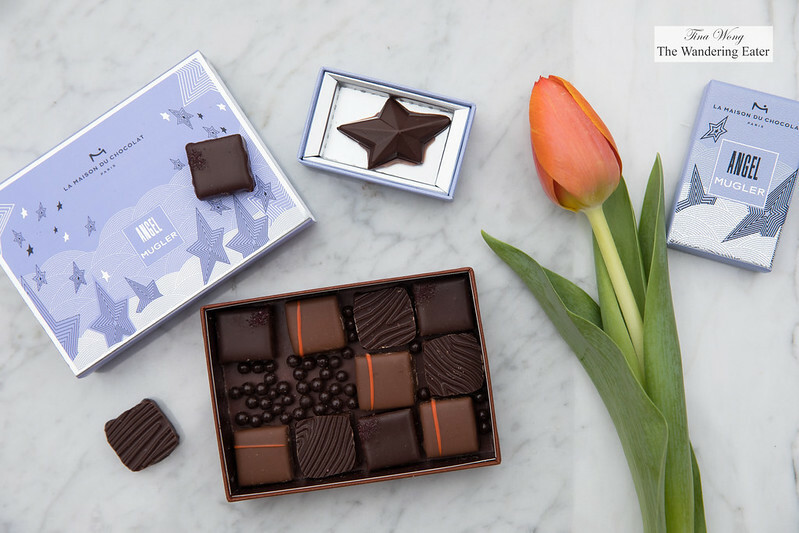 Nicolas Cloiseau, Master Chef of La Maison du Chocolat, captures the playfulness of spring and select farm animals and created chocolate bars with their expressive eyes fixed in chocolate. An unique collaboration coming soon is with the famed perfume, Angel by Mugler celebrating its 25th anniversary. The collection is a beautiful assortment based on the flavors of bergamont, red fruits, praline, vanilla and patchouli, as the fragrance has aromatic notes of these food items. The milk chocolate ganache flavored with Sicilian bergamot and a layer of Mandarin jelly was delicious. The most unexpected one was the cotton candy marshmaloow with red fruits, cranberries, and almond-hazelnut praline that has the combination of textures chewy-soft and crispy and the sweet-tart flavors.